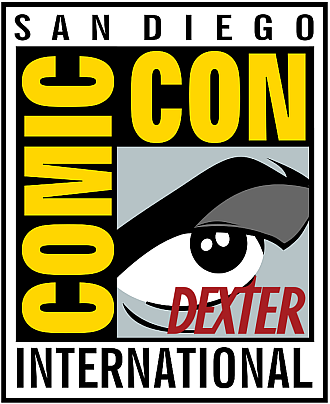 Showtime's Dexter will kick off Comic-Con this year, the network announced today.Via press release: Thursday, July 12: DEXTER: The gasps from last season’s finale can still be heard among every DEXTER fan as their worst fears were realized – Dexter got caught and by none other than Deb! What will he do, what will she do…what’s next for America’s favorite serial killer? If the suspense is killing you, then don’t miss this incredible panel, where you’ll be the first to see the Comic-Con EXCLUSIVE first two minutes of the season premiere. Moderator Ralph Garman (KROQ entertainment reporter) presides over a revealing interview and Q&A session with the stars and executive producers of Dexter. Featured panelists include series star/executive producer Michael C. Hall (Dexter), Jennifer Carpenter (Deb), special guest star Yvonne Strahovski, and executive producers John Goldwyn, Sara Colleton and Scott Buck. Plus, Dexter fans will be the first to see the world premiere trailer of one of the hottest series on television, the Golden Globe-winning drama Homeland, presented by executive producers Howard Gordon and Alex Gansa. Good, can't wait for the trailer! Does anyone have any idea how many episodes Yvonne Strahovski will be in? She is listed as a special guest star and is at comic-con so it could be at least six. Have no idea, my guess is that she is starting in 3, this is just based on when her casting was announced. I would assume then 3 to 12.